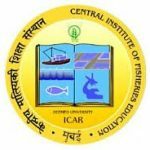 Skilled Personnel Vacancies – Last Date 20 February 2019 (Mumbai, Maharashtra), Central Institute of Fisheries Education (CIFE) recruits Skilled Personnel posts. 10th passed experienced candidates can apply. 10th Pass; Fluency in Hindi / English. 1. The positions are purely temporary and are co-terminus with the Project duration. Also, the position can be terminated on one month’s notice if the performance is not found to be satisfactory. The selected candidates shall not claim for regular appointments at this institute as the positions are purely temporary, time bound and co-terminus with the project. 2. All the applications received will be scrutinized and only the short-listed candidates will be called for personal interview. 3. The interview of the short-listed candidates will be conducted on 27-02-2019 (Wednesday), 11 AM at ICAR-CIFE, Panch Marg, Off Yaari Road, Versova, Mumbai. 4. The candidates appearing for interview shall bring the original certificates and attested photocopies of all requisite certificates. 5. No TA/DA will be paid for attending the interview. Central Institute of Fisheries Education is the premier National Fisheries University of India dedicated to development of quality human resources in frontier areas of fisheries and aquaculture. The institution was founded on 6 June 1961 under the Ministry of Agriculture, Govt. of India and was subsequently included in the Indian Council of Agricultural Research in 1979. It was befittingly conferred the Deemed University status in 1989 and since then has contributed immensely to the development of the fisheries sector through its three-pronged mandate of research, teaching and extension.